One major problem that almost all of us face every day, but still choose to ignore is the bad network connection. There are so many times when we are unable to access the internet or make important calls just because the mobile network keeps ditching. Above all, the sad part is that we don’t care to change it or find a solution for the network problems that we are facing. We just learn to live with the “no-network” irritation and “can’t reach your number” problems. Now NO MORE TOLERANCE for bad network connection. Every problem has a solution and so does your network problems. If you are having troubles with your mobile network, the best way to go about it is to port number and change it. A lot of people have a misconception that all mobile networks are the same, thus don’t even think about changing the network. But, what actually happens is that some networks work better in certain locations as compared to other networks. So if you are facing problems in your current network, then you can port number online and change your network. Like you can port to Airtel or port to Vodafone and see how it works in your location. The process to port your number is absolutely simple and quick. To know how to port number online, just follow these steps and get your sim card delivered at your location. Step 1 : Generate a porting code by sending the below SMS at 1900.PORT. Keep the code safe. You will have to share this code with the person who comes for SIMdelivery, to port your number at home. Step 2: Log on to 10digi.com and choose port number option. Step 3: Choose a network that you wish to port to. You can port to Airtel/ Idea or port to vodafone. You can also choose amongst prepaid/ postpaid connection. Step 4: Select a plan that you wish to take for your new connection. For prepaid connection, you can choose a first recharge plan or select a bill cycle for postpaid connection. Step 5: Fill in your delivery details and choose a delivery time. Step 6: Place order and get your SIM delivered at your location in just 2 hours or at your chosentime slot. 1. You can port your number only if you have used your current network for at least 90 days. If not, your porting application will be rejected. 2. The porting code that you generate by sending an SMS to 1900 (as described above), will be valid for only 15 days. Thus, you should place your porting request as soon as your generate the porting code. If your porting code has been cancelled by the operator, wait to complete 15 days and then generate the code again following the same process. 3. In case of postpaid connection, make sure that all your dues are paid before porting. Also,pay some extra amount with your bill as porting process takes 7-8 days. You can use the extra paid amount during porting process. Ready to move to a better network? Log on to 10digi.com and get going. It’s simple and quick! 10digi is an easy to use platform to order your SIM online and get porting facilities at home. It’s as simple as this: log on to 10digi, choose your network, select a plan and order your SIM. The SIM gets delivered at your location in just 2 hours. 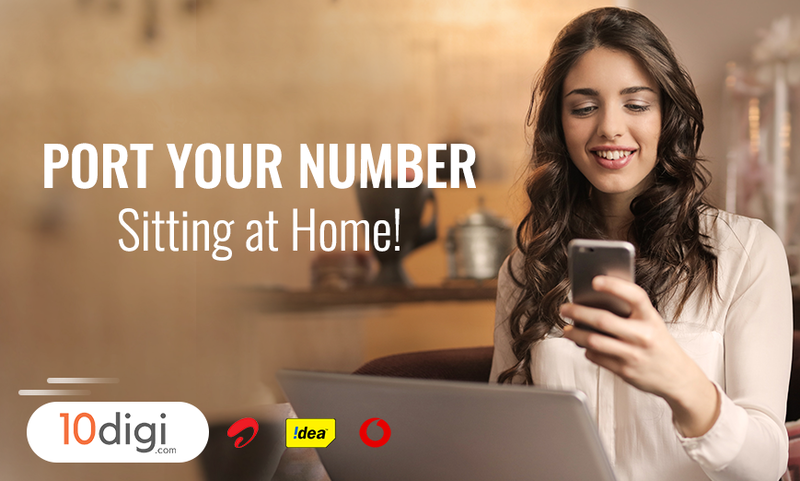 You get your SIM delivered home in just 2 hours. The process is absolutely simple and transparent. No hidden charges, only pay for the plan you choose. Don’t tolerate anymore! Port your number NOW!